The design of our Montana Corner Table not only looks great but it’s also great for storing away neatly when not in use as the stools simply fit into the unit itself. 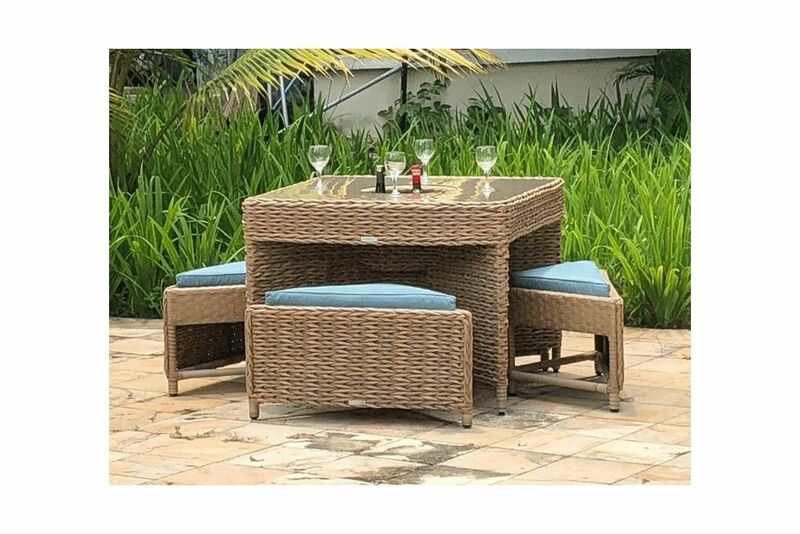 synthetic weave is specifically manufactured to look like Natural Water Hyacinth as opposed to the usual natural rattan. The Montana Range is virtually maintenance-free simply requiring a quick wipe over with a damp cloth every now and again.